ONLY 10 MINUTES NORTH OF 1604 ON I-10 (EXIT 543) COME AND EXPERIENCE THE DIFFERENCE AT INFINITI OF BOERNE. This INFINITI includes: GRAPHITE, SEMI-ANILINE LEATHER SEATING Leather Seats [B92] ROOF RAIL CROSSBARS (PIO) Luggage Rack [F01] DRIVER ASSISTANCE PACKAGE Lane Departure Warning Lane Keeping Assist Adaptive Cruise Control Blind Spot Monitor Cruise Control HERMOSA BLUE [W01] 22' TIRE Tires - Front Performance Aluminum Wheels Tires - Rear Performance [N92] INFINITI RADIANT ILLUMINATED KICK PLATES (PIO) [L92] CARPETED CARGO MAT/CARGO NET [C03] 50 STATE EMISSIONS [H01] THEATER PACKAGE Heated Rear Seat(s) Entertainment System *Note - For third party subscriptions or services, please contact the dealer for more information. * Want more room? Want more style? 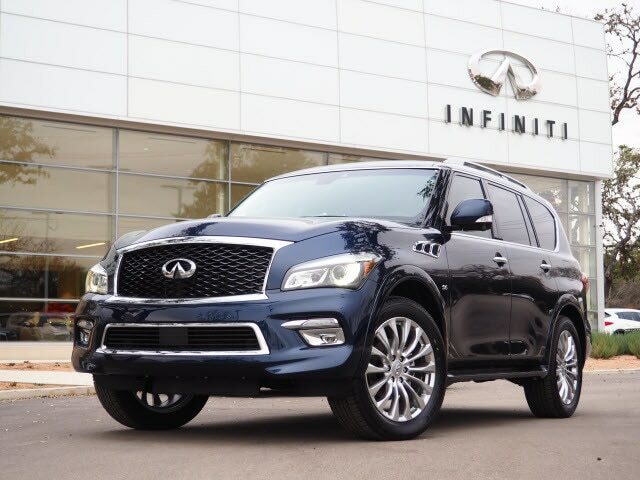 This INFINITI QX80 is the vehicle for you. 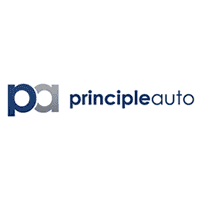 Pull up in the vehicle and the valet will want to parked on the front row. 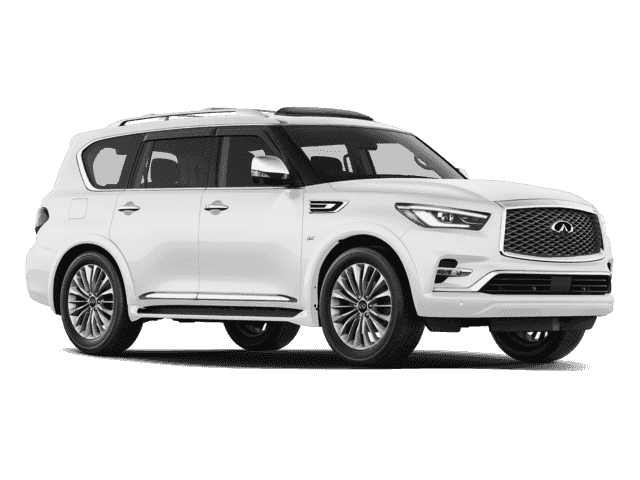 This INFINITI QX80 is the vehicle others dream to own. Don't miss your chance to make it your new ride. 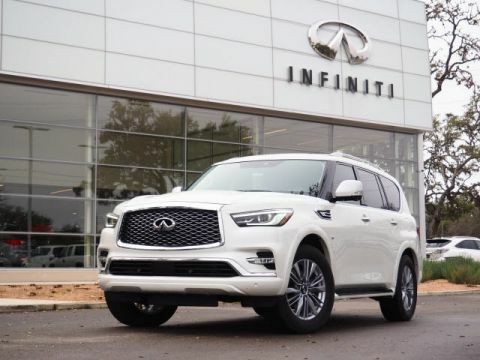 Added comfort with contemporary style is the leather interior to heighten the quality and craftsmanship for the INFINITI QX80 Most vehicles are equipped to get you and your passengers from A to B in comfort and style. 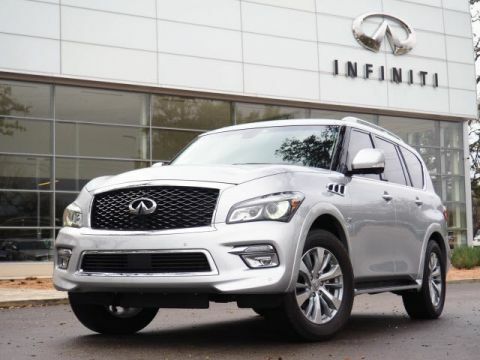 This INFINITI QX80 makes that trip more entertaining thanks its premuim entertainment package.